Hey, I didn't see it mentioned (other than a old failure of the DOS version), but I've successfully been playing FIFA 98 under PCem, Windows 98, and 3dFX with SLI. This is the one that had the "Blur - Song 2" theme on startup. I use a Pentum MMX 166 configuration with the AWARD 430VX ROM under a Core i7 6700. There are only a few slowdowns on match statistics and on control (keyb/mouse) selection. Not sure why, or if they are the game's fault. 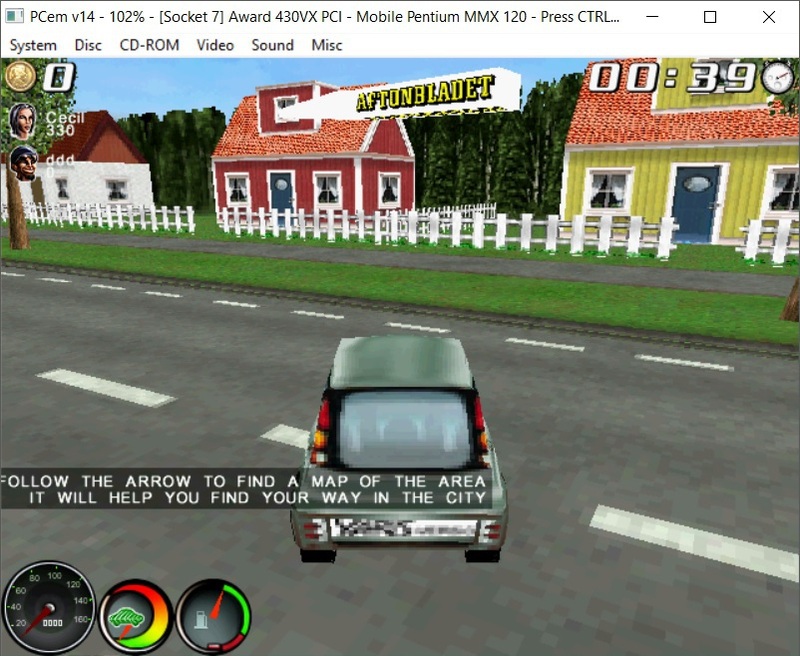 Also, with SLI, the game startup has a small glitch, which is nevertheless also present when going to the windows 3dfX control panel configuration, so it's probably the switching on of the card. PickUp Express with PCem v14, S3 Virge/DX, Award 430VX PCI, MMX 120, 128MB RAM, Voodoo 1 and driver 2.14 works but it's really slow and the arrow is white instead of green. Contents: 3Dfx generic Voodoo drivers.